Despite having come from different batches of Pinoy Big Brother, Barbie Imperial and Loisa Andalio have been great friends since 2015. 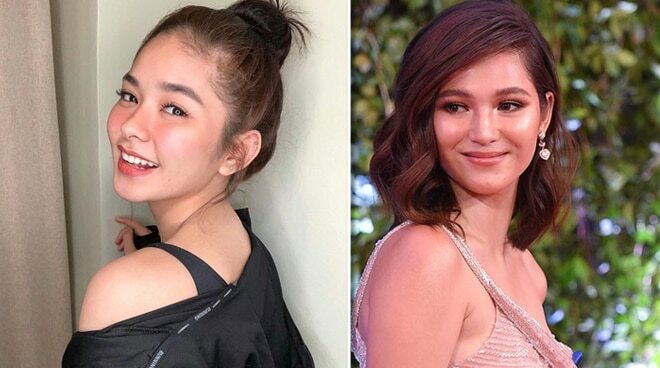 After having bumped into each other last Sunday, November 11, Barbie Imperial surprised her followers with a sweet dedication post to her friend Loisa Andalio, much to the delight of many. The short but telling caption was a reflection on what has been their ‘solid’ friendship for the past three years. “Sabi ko, Loisa, tatlong taon na pala tayong magkaibigan, pero ni minsan, wala tayong naging problema. Never tayo nag-away. Love you, Loiskie! Salamat, di ka nagbago,” wrote the former Araw Gabi star in an Instagram post on Monday, November 12. The two were reunited on the second day of Pinoy Big Brother: Otso, which saw the welcoming of the second batch of Kuya’s newest housemates. Despite having come from different batches of PBB – with Loisa joining the 2014 batch and Barbie the following year – the two have been great friends. Apparently, Barbie considers Loisa her “first friend in the showbiz world”, according to a tweet she made in April last year. Meanwhile, Loisa was quick to give Barbie a nod. “Totoo! I love you too! [sic] Kahit di tayo lagi lumalabas, pero tuwing nagkikita [tayo ganoon pa rin] at ‘pag may problema nandyan tayo sa isa’t isa [sic],” replied the Hospicio actress through the comments section.